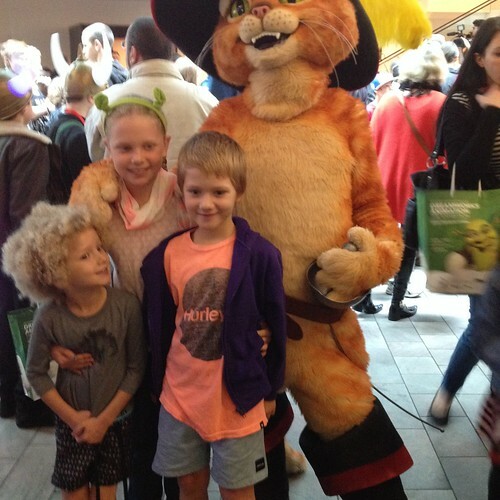 Yesterday we were lucky enough o be invited to attend the Kids gala opening of the Dreamworks exhibition at ACMI – from sketch to screen. Shrek. 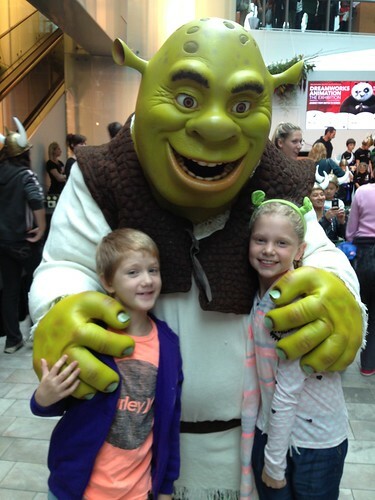 The youngest was slightly overwhelmed seeing some of his favourite characters in real life. They did have a huge presence. 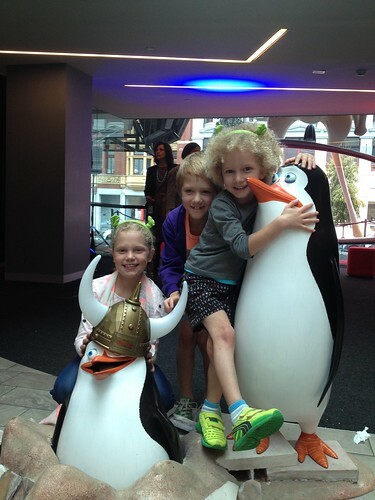 The statues of the Penguins were much more his thing! 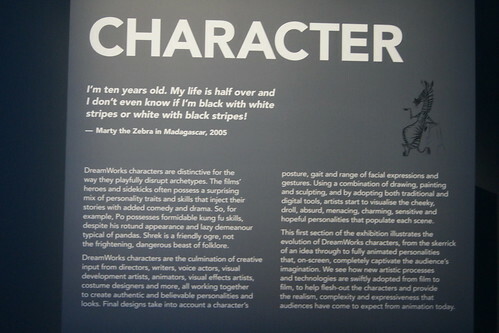 In the character section you realise just how much thought goes into creating each character. 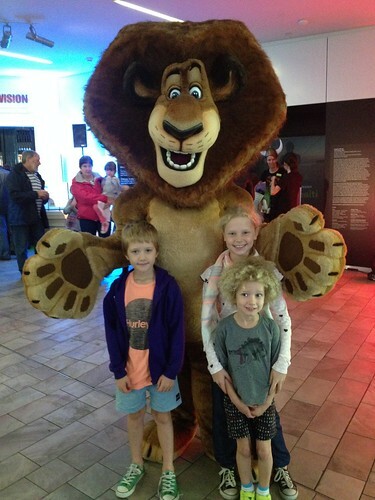 It isn’t just a matter of drawing a cute looking lion; it is space, emotion, shape and much more. The kids can obtain an understanding of just how long it takes to put together and animated scene using the face poser. They can choose a favourite Dreamworks’ character and then build up the facial expressions from the library. Both the 10 and 7 year old agreed this was hard work! 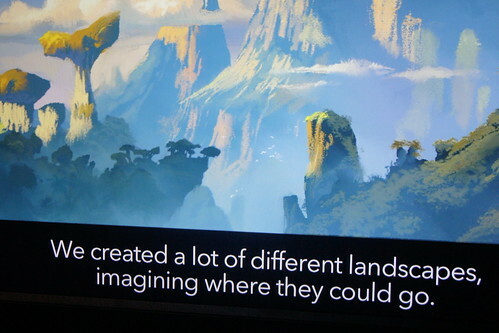 Next is the story component, how the animators bring to life the characters through story telling. There is a fabulous visual representation of this through a scene from Shrek, where the animator goes through each story board of a scene. The kids watched this intently, fascinated by level of detail. 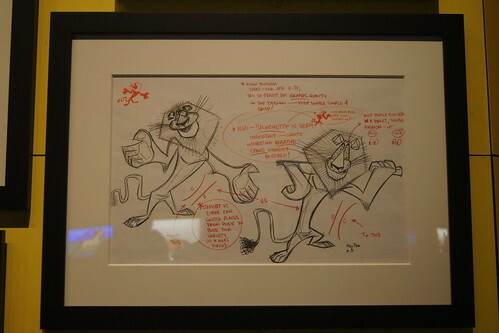 There were some beautiful examples of inspiration for the story lines the animators use in their story lines. 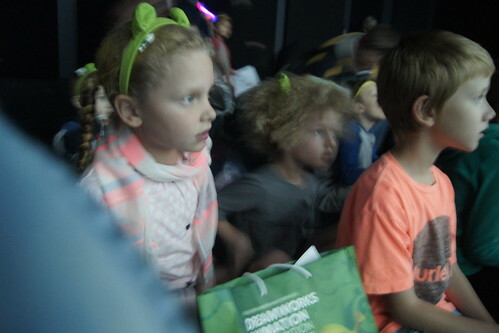 The highlight for the kids though was the Dragon Flight. We had to line up to wait for our turn, but it was definitely worth the short wait. 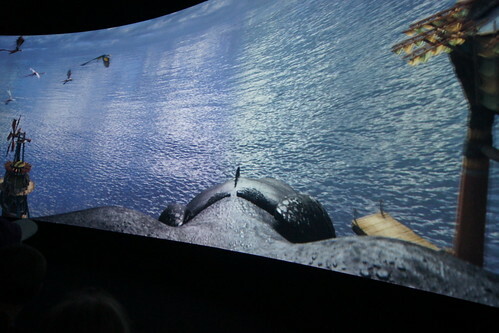 You are seated on the floor in front of a circular shaped screen. You absolutely feel like you are riding on the back of the dragon as it takes flight and soars through the air. 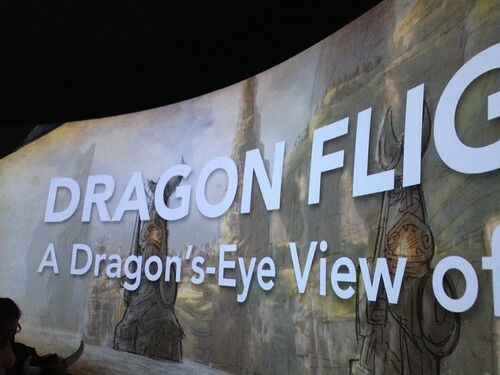 You really do have a dragon eye’s view of Berk. 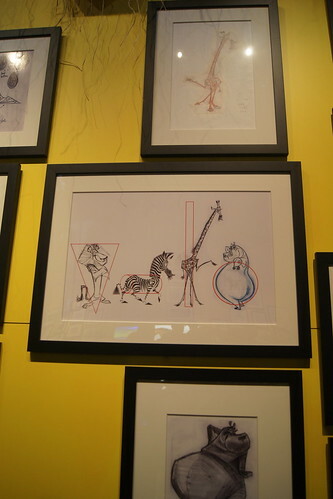 The exhibition uses a range of mediums to show the complexity of the worlds the animators create for each film. 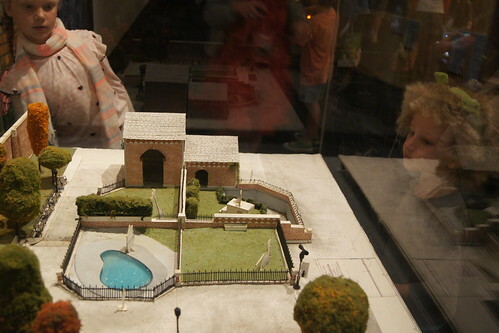 The kids were fascinated by the model structure of the Central Park Zoo. The exhibition works well for both kids and adults. For adult lovers of animation, it takes you on an in depth look into the process that takes place behind the screen to make these amazing films. Older kids will appreciate this aspect too. For my younger kids, they loved seeing the sketches, models and videos of some of their favourite films. 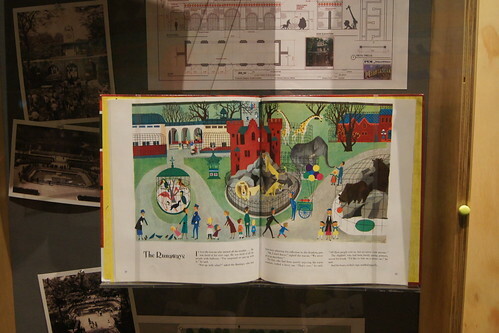 The exhibition also had plenty of interactivity which kept the kids engaged through out the exhibition. 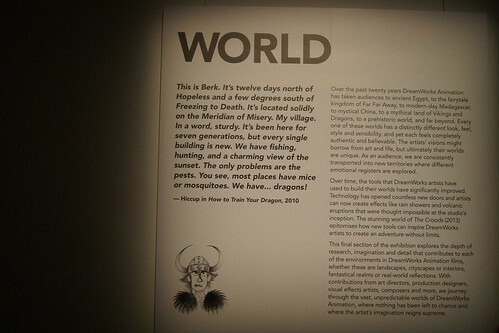 We spent just under an hour in the exhibition as that was about enough for the younger kids. I could have spent much longer reading all the notes and listening to the interviews. Kids in the Studio: 7 April – 17 April (weekdays during the school holidays). 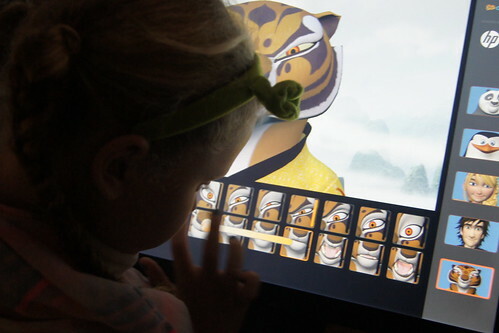 Trading Faces: Kids can drop in to trade faces with their favourite DreamWorks characters for a day by creating and decorating their own DreamWorks inspired face mask. Kids’ Flicks: Rediscover the magic of DreamWorks shows such as Antz, The Prince of Egypt, The Road to El Dorado, Chicken Run, Shrek, Shark Tale and much more when they are brought back on the big screen for less than $10 per ticket. For more times & booking, visit the ACMI website for exact dates and times. 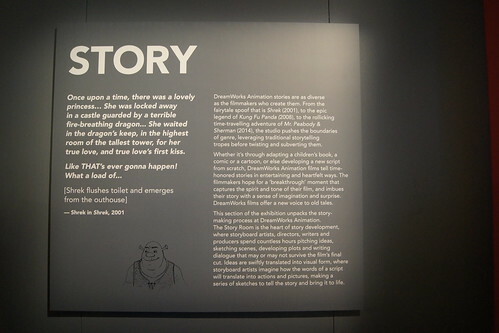 You can see the full program of events for the Dreamworks Animation exhibition here. Leave a comment in the section below, letting me know who is your favourite Dreamworks character and why. If you are reading via email you will need to click through to the blog here to enter. The give away will close Friday 18th April 2014.